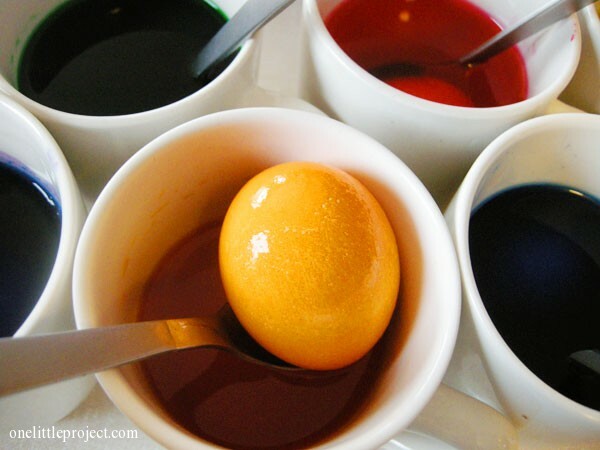 Easter has come and gone, but I wanted to share how my oven baked Easter eggs turned out after I dyed them. I know I was really curious how they were going to work out and if those brown marks and speckles would be a problem. 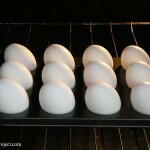 I baked 18 eggs in the oven using the method I described in my how to make hard boiled eggs in the oven post. I’m not sure if it makes any difference, but I let the eggs sit on the counter for about 15 minutes before I put them in the oven. 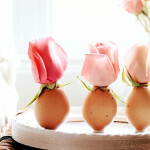 After baking these eggs, they didn’t have the brown spots on them, like the first time I made them, which is peculiar. 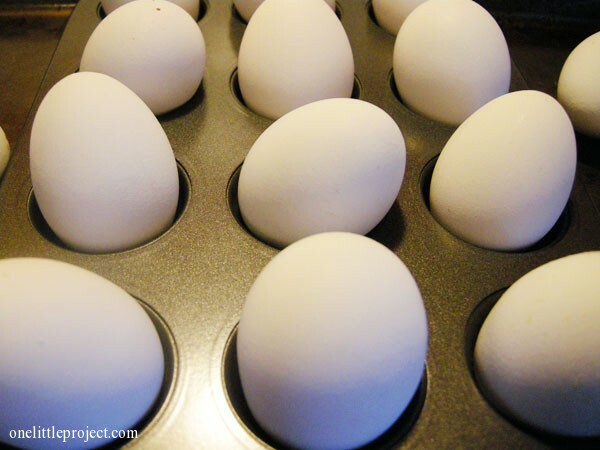 I guess some egg shells result in brown spots, and other egg shells don’t? I did sadly have one cracked egg though. 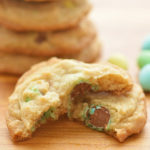 But it was the egg that my 3 year old dropped onto the cookie sheet before we baked them, so I’m pretty sure it was doomed before it got into the oven. 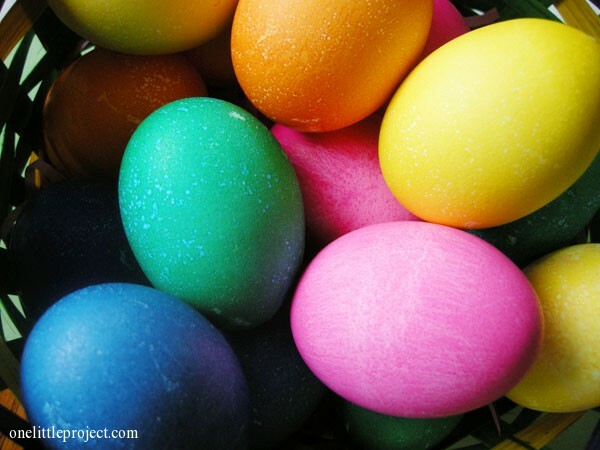 Other than that, all the eggs were perfect! This batch didn’t even seem to have dark marks where the eggs were in contact with the muffin tin. 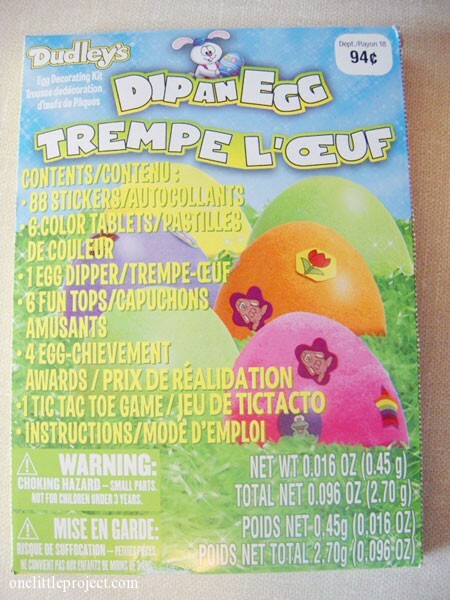 So Leah and I whipped out a couple of Dudley’s egg colouring kits and we went to work. I’m not sure what inspired me to do this, but Einstein over here thought it would be a good idea to double up the tablets without doubling up the water or vinegar. 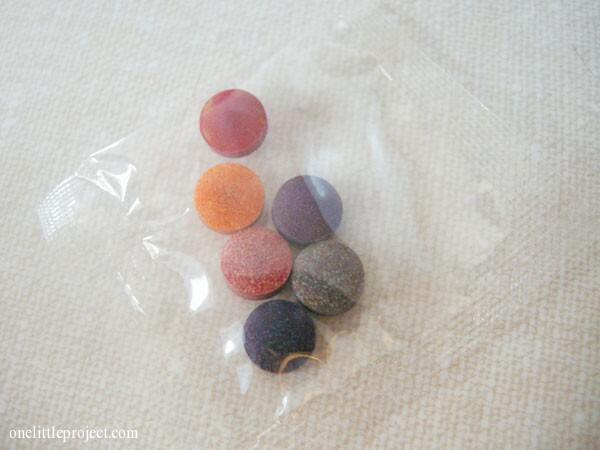 I think I was hoping to get super vibrant colours… which I did for sure, but they were a little splotchy. 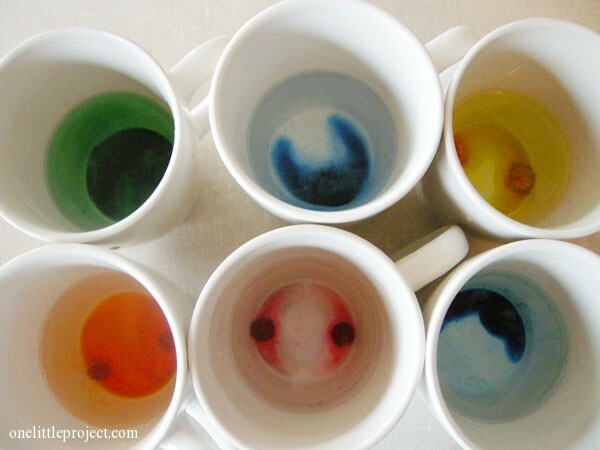 I’ve always used coffee mugs for dying eggs. 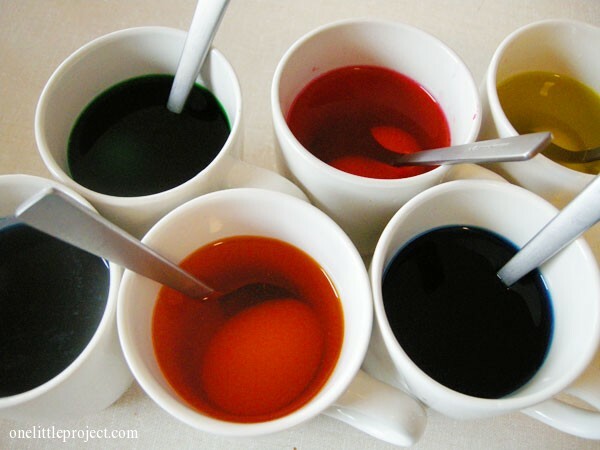 It seems to be the perfect size for the dye, and I always have enough mugs around the house that I don’t need to go searching for something special. 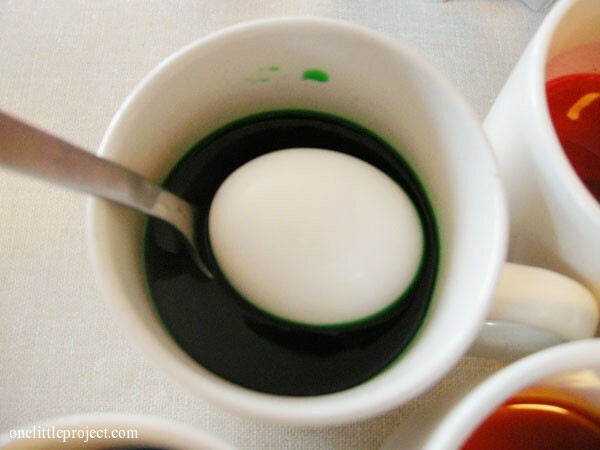 So the eggs were not perfectly even in colour, but I’m pretty sure that was the result of doubling up the dye tablets without doubling the water and vinegar. It didn’t really make a difference one way or the other. 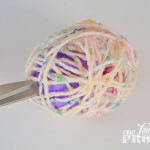 They were still wonderfully colourful and we still brought them for Easter! Everyone commented on how perfectly cooked and delicious the Easter eggs were. 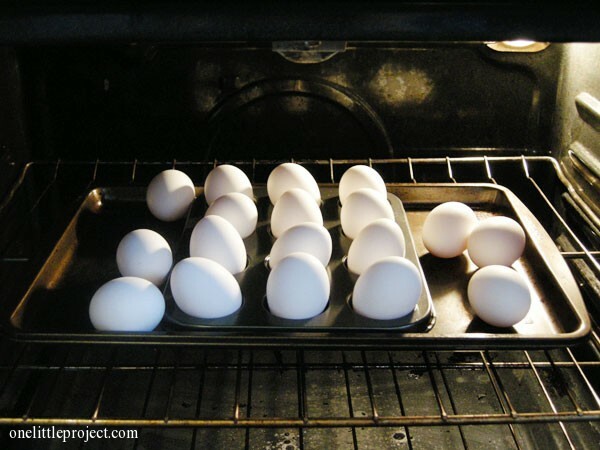 I really do love this method of baking eggs in the oven and I’ll definitely do it again and again for dying our Easter eggs in the future! I totally recommend giving it a try, even if it’s just for egg salad sandwiches some day. 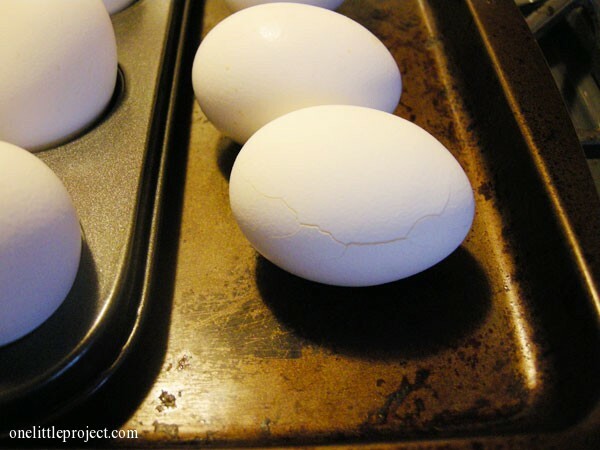 If anyone else tried making hard boiled eggs in the oven this year for Easter, I’d love to hear how it went!